The Business Information Industry Association (BIIA) is a trade association for the information content industry. Information content can be defined broadly as suppliers of paid-for (by users or advertisers) proprietary digital information to businesses or about businesses or about consumers. The principal objective of BIIA is to provide a platform for members to network and to work on common issues facing the industry. Many of BIIA members operate globally. They provide a wide rage of information solutions used in business decisions. BIIA also invites institutions from institutional sectors, such as investment banking, credit sector, public sector information, regulatory bodies as well as professionals in information content, credit, public sector, to join BIIA. BIIA was formed in 2005 in Hong Kong as a result of an initiative by several leading business information content services companies and three information content consultancy firms. 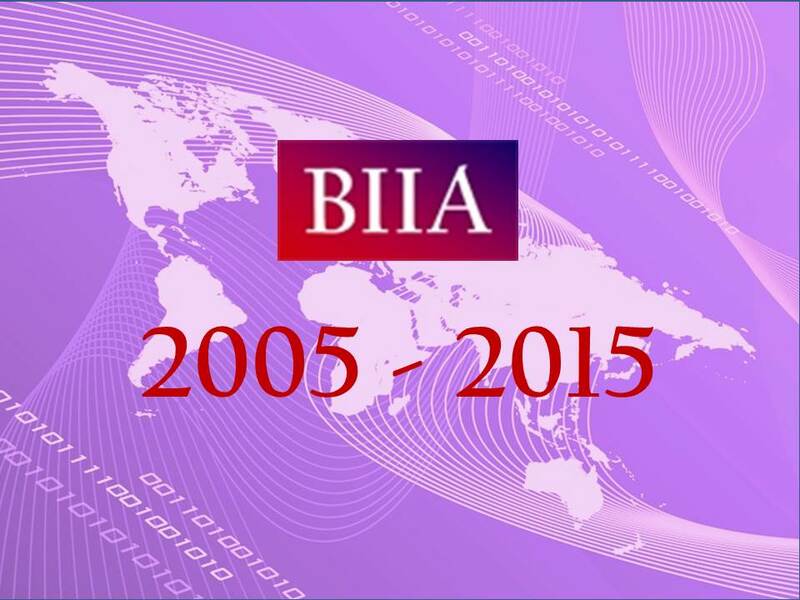 The initial purpose was to promote and protect the emerging business information industry in Asia, however in the meantime BIIA’s charter has become increasingly global. Many of our industry practices today transcend borders and the increasing importance of Asian growth markets have provided an imperative for western information content providers to operate in Asian markets. Today BIIA has over 40 members and is affiliated with large number of industry associations providing a significant platform for networking. BIIA members provide a wide range of business information services which play a critical role in decision processes of businesses. In essence it is all about balancing opportunity and risk. The driver for the demand of business information services is the need to know: Is there a demand and how much? Can one extend credit and how much? In the case of no, what are the reasons for turning down the opportunity? Ultimately, it is the volume of consumer and business transactions that drive the demand for business information. In the quest of balancing opportunity and risk, information services that help in marketing and credit related decisions are therefore often found at the forefront of decision processes. However there are many more important information services that make up the services spectrum of our members: Sourcing tools, such as directories are now migrating from print to online. Suppliers are generally at a critical juncture of a supply chain, thus supplier failure could impair the performance of an entire supply chain, especially when quality problems start to reach customers. As a result supplier risk assessment tools are becoming the norm in supply chain management. Apart from the need to know about individuals, entrepreneurs or companies, there are B2B online media services which provide vital industry insights. Services which deliver comprehensive solutions for audit, risk and compliance professionals help to increase the accuracy of work performed at reduced cost. Decision processes have become complex in domestic situations, however the complexity increases exponentially when dealing cross-borders. Today complexity can be harnessed through the use of workflow tools which imbed information flows into decision processes at a particular juncture of a decision or a series of decisions. Workflow tools, search engines and decision analytics are therefore often an integral part of the product portfolios of our members. Last, but not least, in communicating electronically between suppliers and customers requires a well-defined product base taxonomy. BIIA has over thirty members. Many of our members are supplying a full range of information services as illustrated in chart 1 (business decision cycle). The percentage of members concentrated in specific business information segments is illustrated in chart 2.